“You go to heaven if you want, I’d rather stay here in Bermuda.” Mark Twain stated this in the 19th century, and the statement is still true today because Bermuda’s magnificent sun and sea still lures vacationers from all over the world. The island makes a wonderful vacation getaway for people of all tastes. 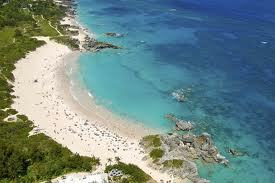 If you’re looking for peace and quiet, Bermuda has that will pamper you and a deep inner peace. Romantics will rekindle their love with candlelight dining and strolls on the beach. If you want to really let loose you can dance the night away in the seaside capital, the City of Hamilton. The island itself is just as magnificent. You can play a round of golf on one of the world class golf courses, hike on peaceful trails and sunbathe on glorious pink sand beaches. Walk down the crooked streets of the colonial settlement of the Town of St George, Britain’s oldest surviving town in the New World. Bermuda boast a beautiful climate that is warm all year round and friendly people who are ready to strike up a conversation with strangers. There’s plenty of distinctive color as well, from a landscape of tidy pastel houses to dapper businessmen dressed in Bermuda shorts. Bermuda is truly everything you’ve heard and then some, it's worth the visit and there are plenty of travel packages and cruises that are set to any budget.